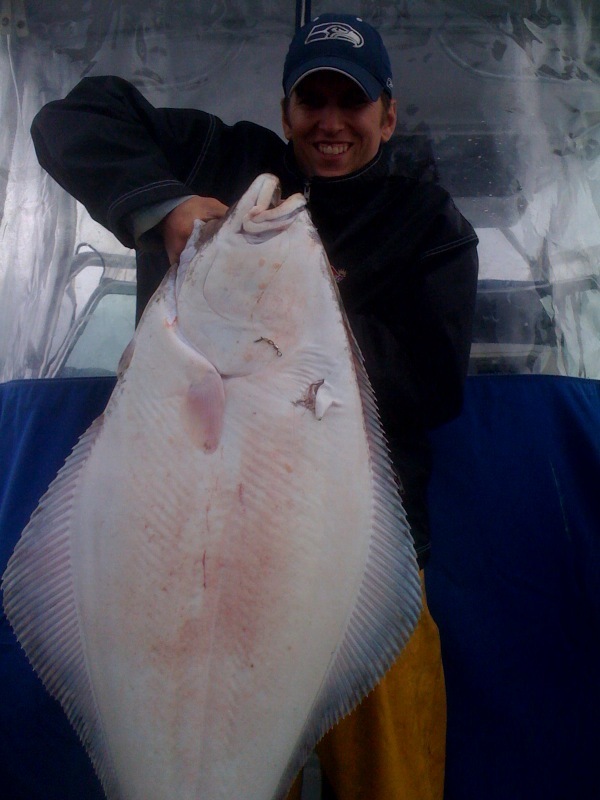 Halibut fishing continues to be steady around Sooke. Dave from Ocean Dreams Fishing Charters sent in this photo of a 50 pound halibut, his guest Gordy's first ever. They were fishing west of Sooke, using herring for bait. This halibut put a big fight before they got it aboard. Way to go Gordy! Salmon fishing in Sooke waters is off and on, some days better, some slow. Anglers are catching mostly salmon from 10-15 pounds, though there are reports of a 20-25 pounder now and then. Crabbing in Sooke Harbour is quite good, lots of keepers.